Amazon has just slashed the price of the Kindle to $189, down from $259—making a great summer reading companion even more affordable. While the Kindle may not have all the bells-and-whistles of the iPad or Pandigital Novel, it still excels at its primary purpose of reading books. The eInk screen is much easier to read in bright sunlight than the iPad and other LED-based displays, and the weight is half that of the iPad at 10.2 ounces. And 3G wireless downloading capability is included at no extra cost. 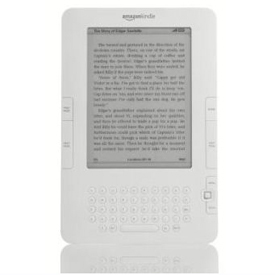 The reason for the price cut seems to be competitive positioning against Barnes & Noble's Nook, now priced at $199. No new versions of the Kindle are expected soon.